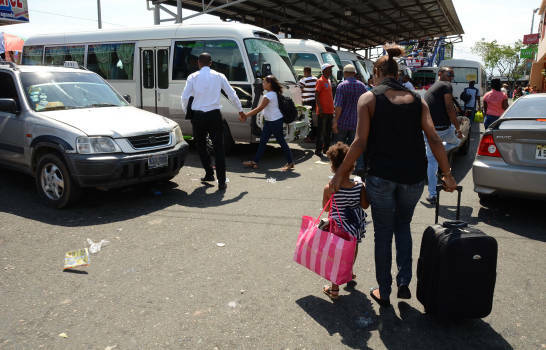 The director of the Emergency Operations Center (COE), General Juan Manuel Méndez, revealed that for the Easter holiday, more than four million people are expected to travel around different parts of the country. “If we take the weather into account, so far thank God no atmospheric situations are expected to hamper the population’s mobility,” he explained in the program D ‘Agenda. He recalled that when it rains or there are abnormal swells many people prefer not to leave their homes, but that is not the climatic reality so far, at least not as reported by Gloria Ceballos, director of the National Meteorology Office (Onamet), is there any information that should discourage people from their travel plans. The operation begins on Holy Thursday at 2:00 pm and ends on Resurrection Sunday at 6:00 pm. To assist travelers, the Emergency Operations Center will have 162 ambulances, 17 boats, six mobile hospitals, and three helicopters during the Easter holiday. Also, there will be 3,101 aid stations, 53 crane stations, 37 mobile workshops, nine regional command posts, and 1,521 immediate response units, which are motorcycles allowing rescuers quick access where ambulances can not enter. Likewise, it has units of the 9-1-1 emergency service. From this Holy Thursday until Resurrection Sunday, and as a protection measure, the Ministry of Tourism prohibited the use of motor vehicles and boats that present a danger to bathers and people who are on beaches and spas in the national territory.